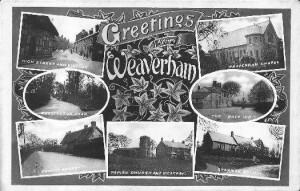 As part of a Heritage Lottery Foundation funded Oral History Project, in 2004 Weaverham History Society published “Greetings from Weaverham, An Oral History“. In this book is recorded some of the history of the village of Weaverham as remembered and told by local residents. As well as photographs extracts have been made from recordings to illustrate different aspects of life in the village and this book provides a distinctive and unusual view of the recent history of the village. The book is available from Weaverham History Society at a price of £6.95. 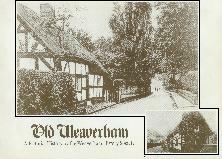 The Society has also published “Old Weaverham – A Pictorial History” which contains over 100 photographs of the village with explanatory text. It is a fascinating view of the village and covers a range of topics from village celebrations and sporting events, farming and the farm houses that existed in the centre of the village plus the buildings and shops that made up the retail sector of village life. Also included is an overview of health in the village including a snapshot of the well-loved doctor, Joseph William Smith who lived in what is now known as Smith’s Lane. Now out of print, copies of this publication are occasionally found on antiquarian internet sites.